Your rich-media campaign isn’t just a powerful communication tool for your brand, it's your brand. We’ll work closely together to create innovative media that will showcase your vision and engage your audience. Amazon Fire TV is a tiny box that connects your HDTV to a world of online entertainment possibility. 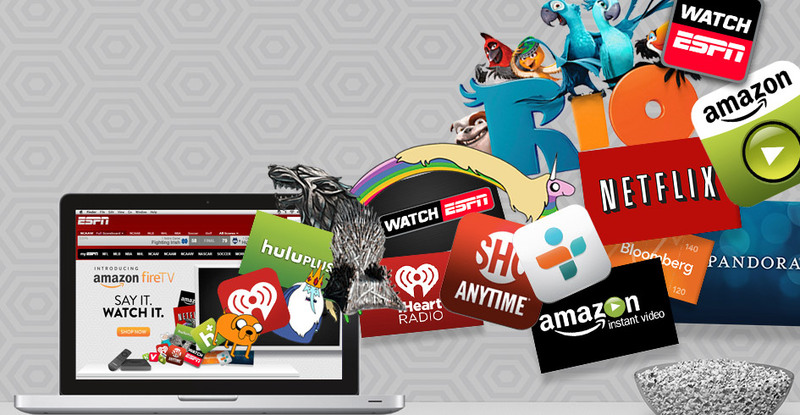 With a huge selection of TV episodes and movies, voice search that actually works and more. all new Amazon fireTV on launch day. 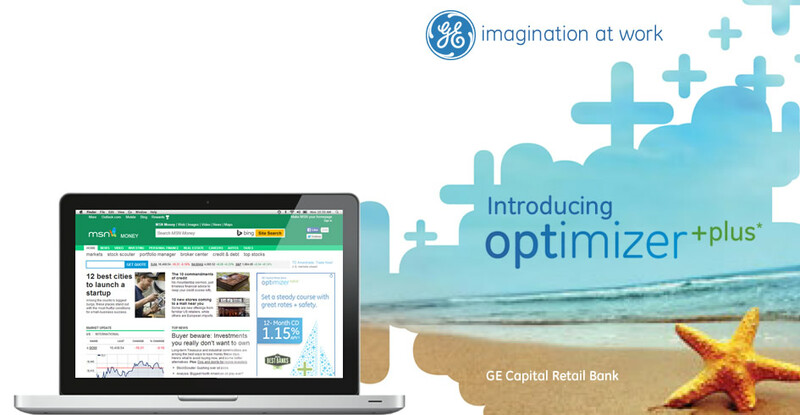 OptimizerPlus is a suite of saving products from GE Capital Retail Bank. Build your savings safely with CD type options. Responsibilities: Work closely with a creative director to design promo banner ads for several financial sites and work on animation concept for each Flash banners within this series. The Ride–3D is an ultra-immersive, next generation thrill ride that blurs the line between fiction and reality! 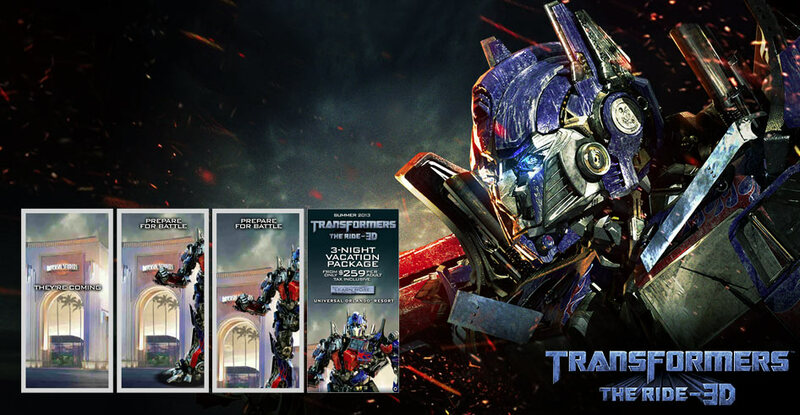 Join NEST on the front lines of an intergalactic war between the Autobots and Decepticons to save the Allspark! Responsibilities: Work closely with a senior designer to design static promo banners for several travel sites and work on animation production for each Flash banner ads within this series. Also work on a conceptual design for a giveaway gift for the summer premiere opening. 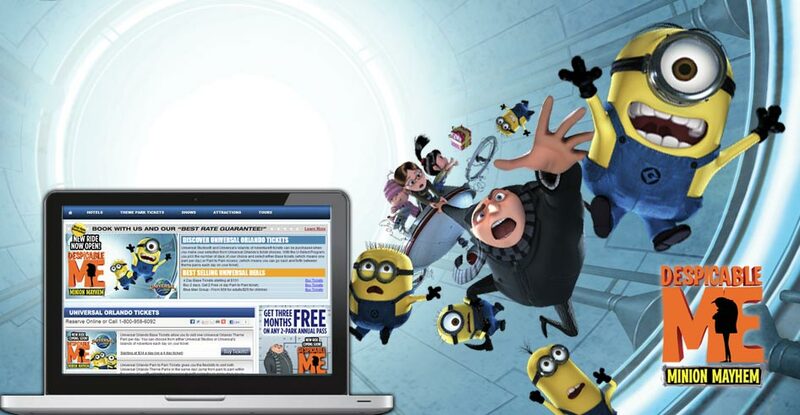 Join Gru and the gang on an all-new 3-D ride, Despicable Me Minion Mayhem at Universal Orlando. Start your adventure in Gru’s home, where you’re recruited for his latest scheme – one where you’ll become an actual minion. We produced a new online campaign for this new attraction which were sponsored by McDonalds and Coca-Cola. Responsibilities: Work closely with a senior designer to design static promo banners for several travel sites and work on animation for each Flash banner ads within this series. Explore the mysteries of Hogwarts castle, visit the shops of Hogsmeade and experience pulse-pounding rides and attractions that transport you into a world of magical thrills and excitement at the Wizarding World of Harry Potter. 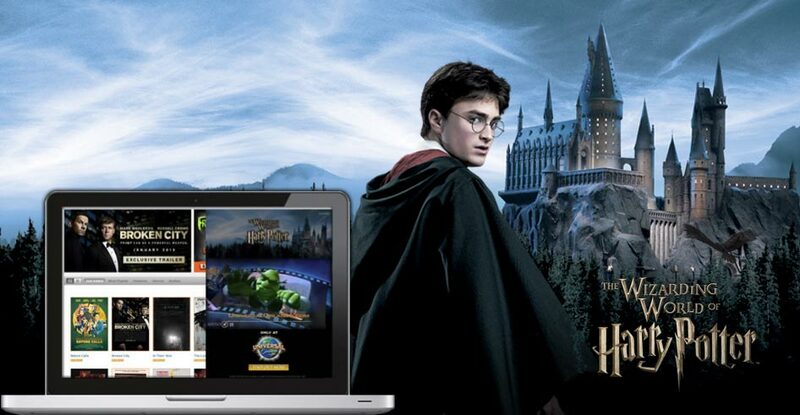 Responsibilities: Work closely with a senior designer to work on animation production, development and promotion updates for each Flash banner ads within this series. Blue Man Group has taken their indescribable live celebration of art, technology and music to a whole new level at Universal Orlando. 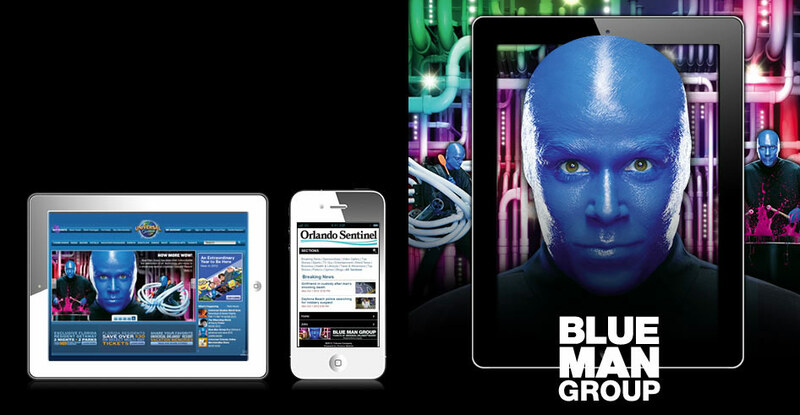 Experience the wonder of Blue Man Group with incredible new performances and an all-new stage. It's science, it's laughter, it's that creative urge you feel inside and want to explore the possibilities. The songs that move you. The faith that lifts you. And the rides that thrill you! It all comes alive in one place, Rock the Universe... Where the biggest names in Christian rock take the stage at Universal Studios. Join in Florida's biggest Christian music festival spread out over 2 exhilarating nights and featuring amazing bands, exciting thrill rides and more! 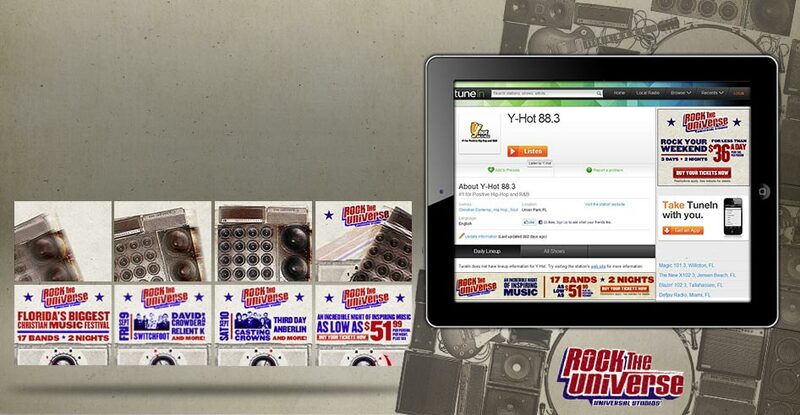 design and animate each Flash banner ads within this series. tured upside down the day he met Captain K'nuckles on Cartoon Network. 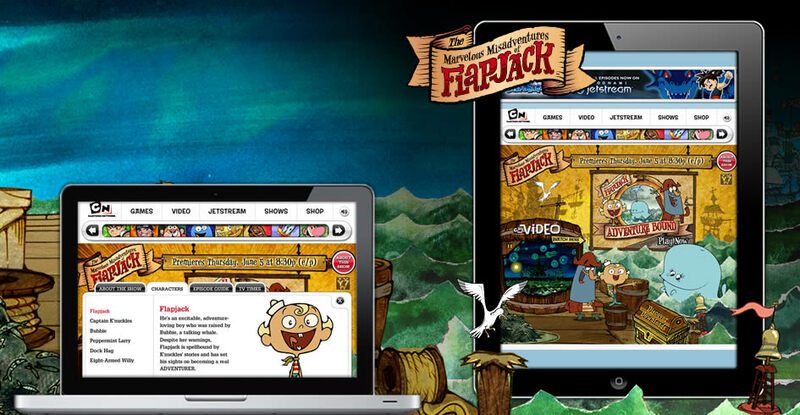 Responsibilities: Work closely with an art director to created wallpapers, icons, and an interactive deluxe show page for the Premiere of Flapjack on Cartoon Network. Get your credit report, credit score, monitor your credit and help protect your identity with identity theft protection all in one service, Equifax. 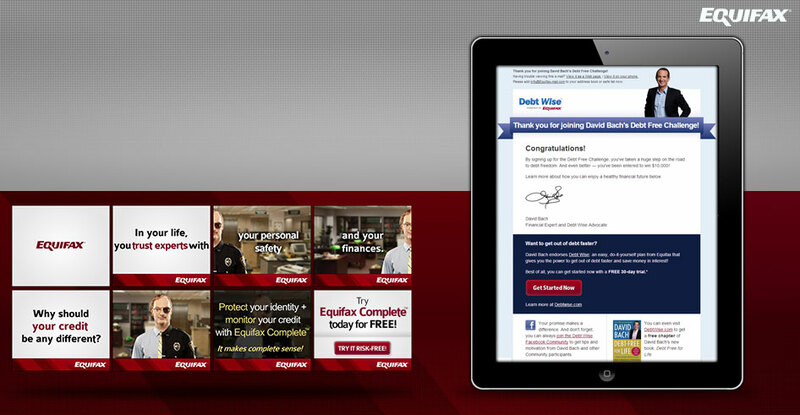 We worked with BKV Interactive on this project to produce a new online ad campaign for their new service from Equifax. Responsibilities: Work closely with a senior designer at BKV to work on animation production for each Flash banner ads within this series and a few email promotions as well. Every family has secrets... Theirs are just bigger! They're called cryptids, legendary creatures that ordinary science doesn't believe in. It's up to the Secret Saturdays to track them down before the bad guys do. 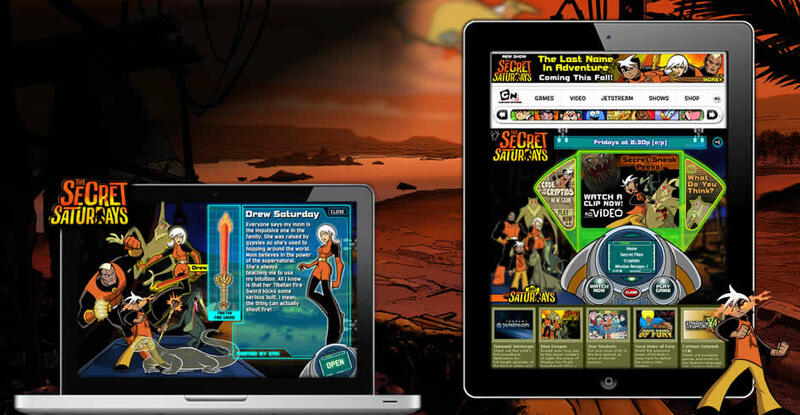 Responsibilities: Work closely with an art director and developer to created media ads, wallpapers, icons, screen-saver, and an interactive deluxe show page for the Premiere of Secret Saturdays on Cartoon Network. Alaska Seafood Marketing Institute is a Seattle-based company that promotes the Alaska seafood industry. 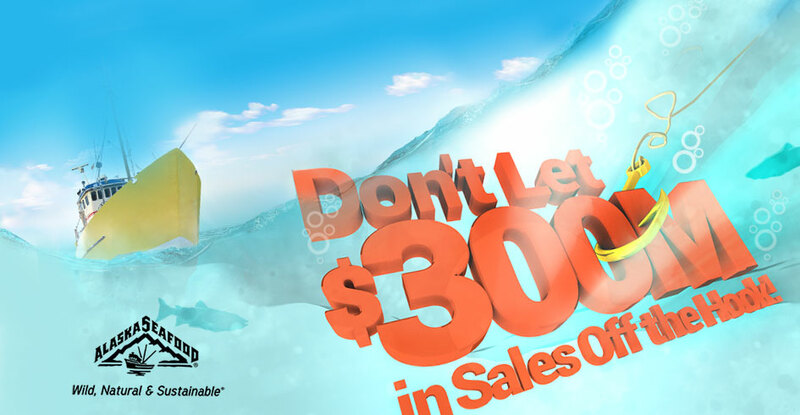 I had the pleasure of working on several digital ad campaigns for them to help boost sales of Alaska Seafood. for several sites and work on animation from concept to completion.